The Jharkhand Mining Show 2017 was organized by the Government of Jharkhand and Confederation of Indian Industry (CII) from 30th Oct to 1st Nov, 2017 at HEC Ground, Ranchi. 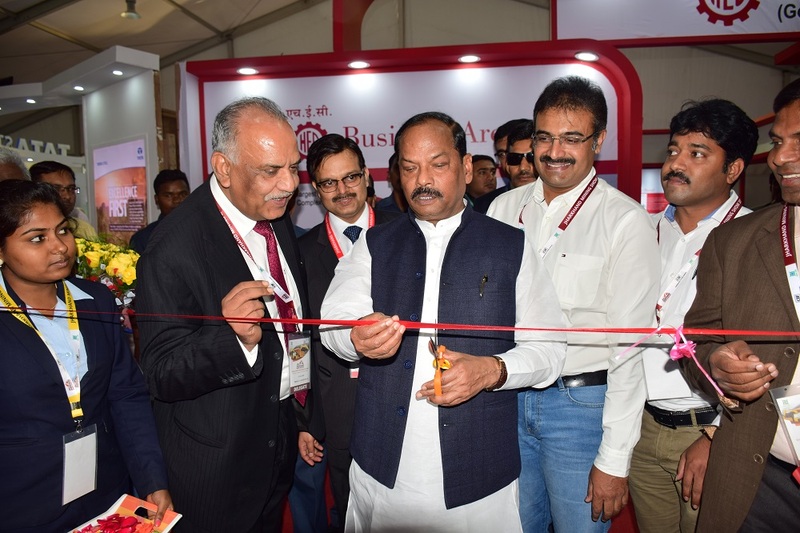 The JMS 2017 was inaugurated by Raghubar Das, Chief Minister of Jharkhand. Piyush Goyal, Union Minister of Railways and Coal was the Chief Guest during the inaugural session of the event. The special attraction of JMS 2017 was the exhibition organized in an area of 3000 sqmt. The Prominent exhibitors in mining expo were Tata Steel, CIL, HEC, Thriveni Earthmovers, BVEML, NTPC, SAIL, NMDC, L&T, JSW, Tata Hitachi, BKT, Bharat Benz, Tata Motors, TIPL, etc. Thriveni Earthmovers was one of the prime exhibitors and sponsor of the event. We showcased our expertise in world class solutions in continuous Iron Ore Mining, Coal Mining, Equipment Leasing and Aggregates. Our stall numbers: Indoor – 19, Outdoor – OD 2, was a crowd puller. With leading dignitaries from Mining and Mineral industry, aspiring Mining Engineers, Students from leading Technical colleges visiting our stall. It was a grand success with Thriveni making a mark in the event.